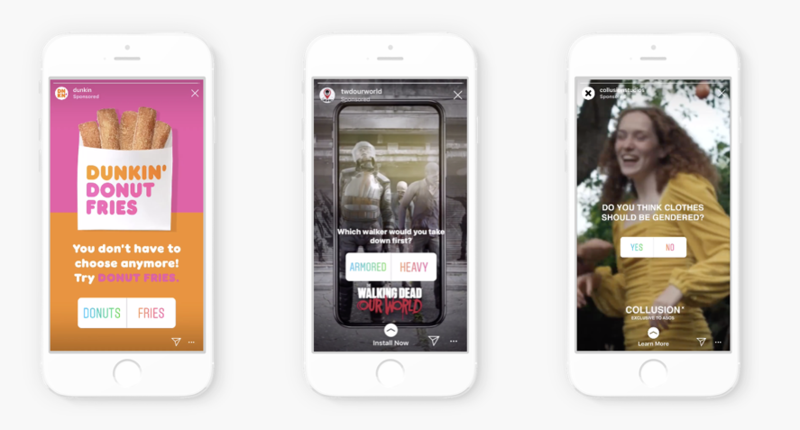 Instagram has just announced its new interactive Story Ads, which allow advertisers to add polling stickers to their campaigns. Advertisers can ask a question, and then viewers can click on one of two options. You can add polls during the creative portion of the ad creation process. Stories are an increasingly popular feature on both Instagram and Facebook, and early tests show that the interactive features increase view retention rates alongside more results. One case study saw a 40% increase in app downloads when using interactive sticker, and another saw a 20% decrease in cost-per-video view. Use the polls to ask users yes or no questions, or to choose between two options, like Dream vacation: beach or mountains while showing offer different features or locations of your hotel or resort. Facebook is releasing more information for users to provide newsfeed transparency, giving them information about why theyre seeing organic posts in their feed along with more information about why theyve been targeted for ads. 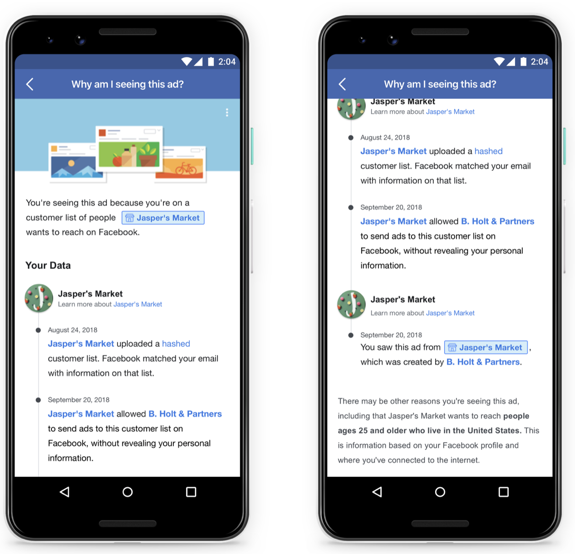 We know that all of our clients follow Facebooks advertising rules and guidelines, but if youve ever worked with an advertising company you questioned, now is the time to make sure that theyre following every last targeting regulation. In the past week, WhatsApp has announced an iOS version of their Business App, which is free and designed to help businesses and customers communicate more effectively through the app. The new app will be rolling out in Brazil, India, the U.S., Germany, Mexico, Indonesia, and the U.K., and you can also use the Android or desktop versions of the site. WhatsApp is currently the most popular messaging tool in the world, with more than 1.5 billion active users. This is even more than Facebooks Messenger (and WhatsApps sister company), so this is a significant number. The iOS release could be a sign that were inching a step closer to the Messenger, Instagram Direct, and WhatsApp integration we know is coming sometime in the next year. In the meantime, take advantage of this, as it could be a prime platform for your guests to contact you on. 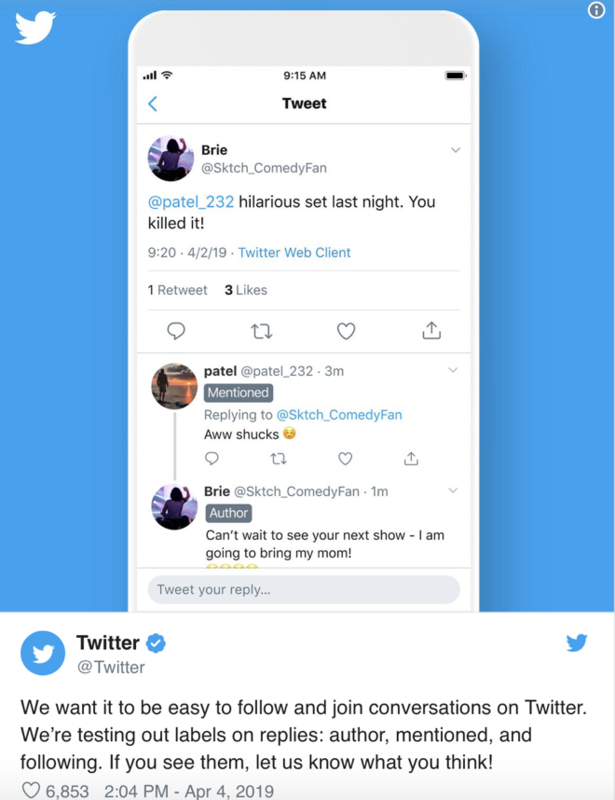 Twitter is currently testing new labels in their also-in-testing reply threads, which are designed to make it easier for users to follow conversations on the platform. Users will be given labels like author and mentioned that others can see in the replies. Reply threads on Twitter will be a huge development in facilitating more streamless conversations, and these labels could help that further. As they stand now, Twitter threads can be difficult to follow, potentially reducing organic discussion on the platform, so it makes sense theyd want to change this. If and when this feature rolls out, take full advantage to engage your guests more on the platform.